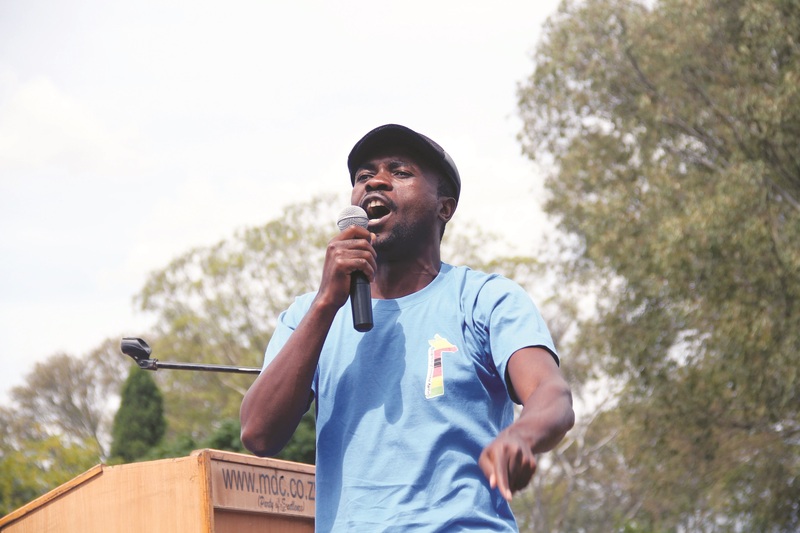 Higher and Tertiary Education minister and Zanu PF politburo member, Jonathan Moyo has made a U-turn and broken ranks with fellow party and government colleagues, saying missing activist, Itai Dzamara could indeed have been abducted. Dzamara, who is believed to have been abducted by suspected State security agents near his Harare home in March last year after staging a series of solo anti-President Robert Mugabe protests, has grabbed global attention with opposition parties and diplomats based in Harare accusing government of not doing enough to account for him. In May last year, Moyo triggered a storm when he opined in a BBC interview that Dzamara, who disappeared without trace 15 months ago, may have voluntarily skipped the country’s porous borders. “People disappear every day and you mention one person, but in fact, we have quite some porous borders. A lot of people cross borders without our knowing,” Moyo, who was Information minister then, said. But on Tuesday, in response to questions from his followers on micro blogging site Twitter, Moyo said he regretted his statements. “On Dzamara, while a lot has been said, including by me, the scary and indubitable fact is that he was abducted in broad daylight. So yes, it’s regrettable that I have said things that have unfortunately conflated and confused a missing person with an abducted person,” he said, adding he felt for the Dzamara family. Contacted for clarity, Moyo, in an emailed response to NewsDay, said he was not apologising. “No, I was not apologising because there’s nothing to apologise for, but I was explaining my BBC comments after I was asked to do so on Twitter,” he said. Moyo said Dzamara’s abduction was satanic and evil. “Abductions by whomsoever are unlawful and they are inherently satanic and, thus, evil,” he said. The Higher Education minister, however, did not suggest who was behind the abduction. Most government and Zanu PF officials have refused to acknowledge Dzamara’s abduction with MPs from the ruling party thwarting a motion on his disappearance introduced in the National Assembly by Kuwadzana East legislator, Nelson Chamisa (MDC-T). Dzamara’s brother, Patson early this week released what he claimed were pictures of the missing activist, whom he said was being kept in State captivity by military intelligence, a charge the army has denied. Meanwhile, Patson, in the company of his lawyer Charles Kwaramba, yesterday reported to Harare Central Police Station, where he had been summoned to explain details about the pictures, which he presented to the Press on Monday. “We gave them the information they needed,” he said. “They essentially wanted to find out where and how I got that photo. I provided that information to them. “I asked them whether there was anything new from their end and it’s regrettable that to date they haven’t even made any headway and that remains one of the premises of our doubt in so far as their professed investigations are concerned. Zanu PF activist, Energy Mutodi also expressed regret for posting information that the missing activist was hiding in Botswana. “I wish Dzamara a safe return from wherever he is,” he posted on Facebook yesterday. “I also regret my post on March 14, as it later came to my realisation that it was a creation of one of our fellow activists Fidelis (Fengu), who desperately wanted to save the government from international condemnation following the abduction by suspected State security agents.